Flower girls and ring-bearers are the cutest little munchkins that add sweetness to the uber-romantic event of a wedding. It is a little girl’s ultimate chance to get enjoy all the limelight, attention and feel like her favorite princess character from a fairytale. 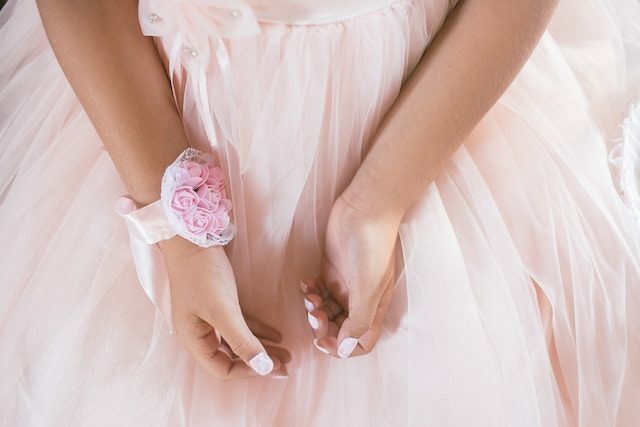 That being said, all this experience comes with a price, which is why many mommies are reluctant to have their daughters take up the flower girl role unless the kids are a little independent. As hectic as it may sound, you need to stay calm and understand that your child was picked up for the job because the bride considers you important enough and wants your child to be alongside her on her big day. You can make it easy for yourself and can make your child enjoy the whole experience if you plan the whole event smartly. The very first thing that you will be responsible for is to find the right dress for your little one. There is a huge variety of flower girl dresses easily available in the market so only focus on what kind of a dress do you want to buy. If you are trying to get some cheap flower girl dresses, it is recommended that you start your hunt early so that you can benefit from the seasonal sales and promotions. Involve the bride when picking up a dress and take her feedback on how she would like her flower girl to be dressed. Follow the color theme suggested by the bride but pick a dress that is comfortable for your kid to carry. Make sure the dress is weather friendly and the fabric is not too heavy or itchy. As far as dressing up on the main day is concerned, your child will be dressed up with the bride and her bridesmaid by the team of stylist responsible to dress the bride. All you need to do is to stay alongside her and make her familiar with the stylists so that she gets comfortable with the whole process. Make sure your child is well fed and well rested on the main day because a cranky child means tantrums to manage. If you have more than one kids to manage or for some reason you cannot stay with her at all times, arrange for a babysitter. At the event, your child will not only be responsible for preceding the bride to the altar but will also have to stick by her side and be there during the photo sessions with the bride and groom. The day will be full of clicks so it is important that she remains clean and presentable at all times. Keep cleaning supplies such as baby wipes and a sanitizer handy to handle any accidents. Prepare a separate bag for your child and keep a few assorted snacks so that she can munch on them if she feels hungry. Small activities such as a coloring book or even a tablet with her favorite cartoons downloaded can help her keep in place for some time.